Patricia Kelikani, Health Journalist (Co-Host): Ever forget where you put your keys? Or maybe that one word is at the tip of your tongue, but you just can’t remember it? Short-term memory loss can be a common occurrence, especially when we’re stressed out. This is no laughing matter…or is it? Dr. Mark Reeves, Surgical Oncologist (Co-Host): Loma Linda University Health researchers have found that when we’re stressed, our cortisol levels increase. Cortisol is a stress hormone and when it enters the hippocampus of our brain it can damage neurons that are involved with learning and memory. KELIKANI: Dr. Gurinder Bains studied short-term memory in the elderly population by giving memory tests. The only difference between the two groups, were that half of them watched a 20-minute funny video that made them laugh as opposed to the non-humor group who just sat in the waiting room. REEVES: After the experiment, the humor group had significantly decreased cortisol levels compared to those who just sat and didn’t watch a funny video. KELIKANI: As it turns out, short-term memory is a laughing matter. REEVES: When we laugh, the stress hormone, cortisol, decreases and thus, our short-term memory will improve. 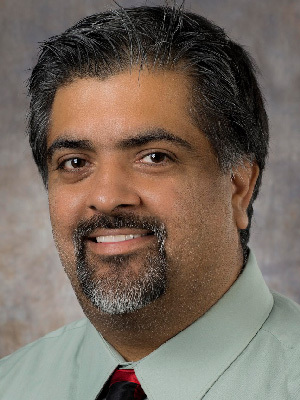 Dr. Gurinder Bains, Loma Linda University Assistant Professor of Allied Health: If we can make ourselves more healthy as we take a whole person approach in that aspect, and we can decrease our stress levels, all of that can actually lead to a better quality of life. KELIKANI: Being able to look forward to doing something enjoyable also reduces stress. BAINS: If you're in a stressful situation, you can actually be thinking, ‘Oh, you know what? I'm going to be doing something fun with my family. I'm going to work out. It's going to relieve some stress,’ that can actually help with cortisol levels and stress. KELIKANI: What are the tips for the day? Lower your stress levels by laughing more. You can watch comedies, socialize with friends, plan to do something you enjoy after work. REEVES: And for those who are grandparents, spend time with your grandkids. The little ones can always make us laugh. Gurinder Singh Bains, MD, PhD, is an Assistant Professor and Primary Research Coordinator for the School of Allied Health at Loma Linda University. He has been a co-author in over 25 publications. He received his PhD from Loma Linda University, MD from Ross University Medical School, and a BSc in Finance from the University of Illinois, Urbana-Champaign. He has been involved in research that includes humor/laughter, inflammation, high intensity exercise and weight loss, sleep, blood flow, and back pain. His PhD dissertation focused on how humor and laughter can enhance short-term memory in the elderly. Dr. Bains has presented at numerous scientific meetings and his research has gained worldwide media attention such as ABC News Worldwide, CNN, Ellen DeGeneres Show, Men's Journal, FOX News, and Huffington Post to name a few.